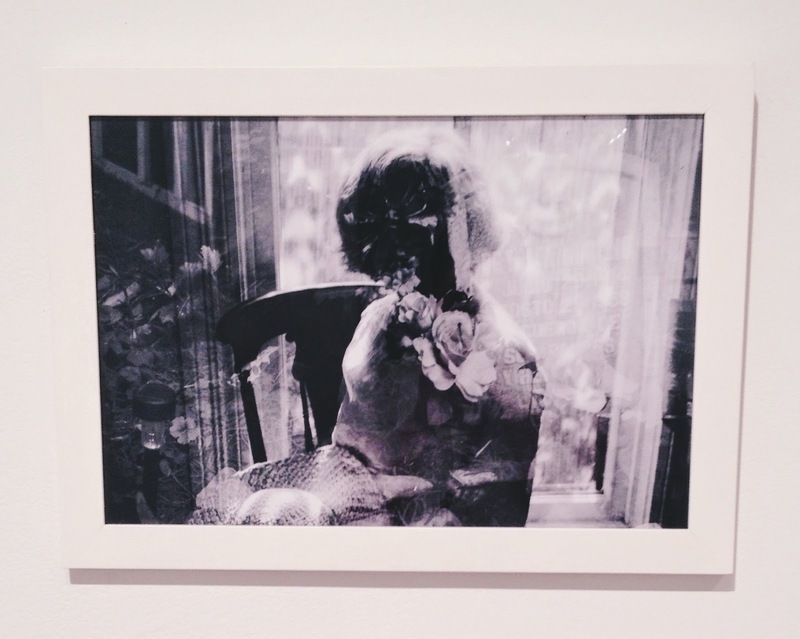 Jenelle Esparza, Speaking in Blooms (2014), archival pigment print. This weekend is the last opportunity to view Jenelle Esparza's photography exhibition, Ancestral Archetypes at Blue Star. If you haven't already, I highly recommend you do. View of Jenelle Esparza's Ancestral Archetypes exhibition currently on view at the Blue Star Contemporary Art Museum in San Antonio, TX. Photo by Stephanie Torres. I loved this work because it was reminiscent of Victorian portraiture in the way that Esparza explored the use of the silhouette and for the ethereal quality of images themselves. 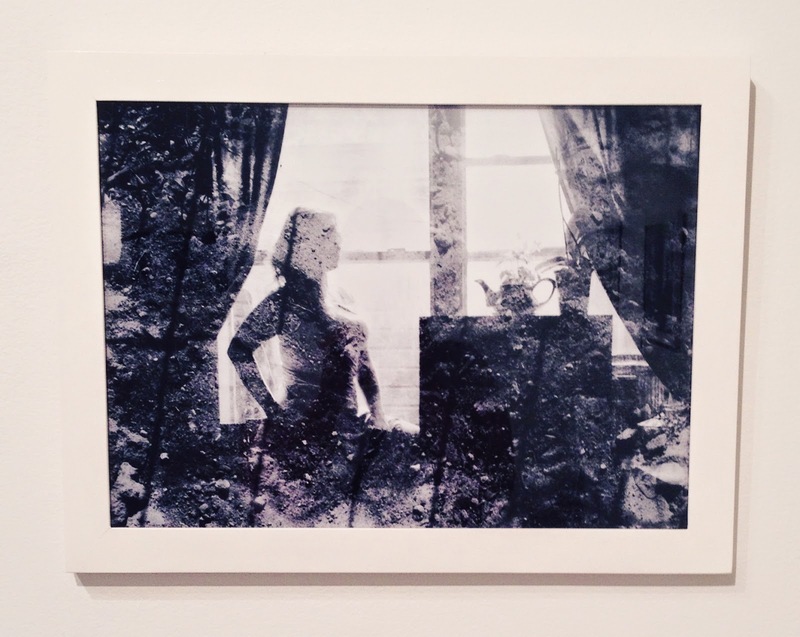 It was also impressive and refreshing to see that Esparza created these images using a medium format film camera and superimposed multiple exposures of the sitter and the natural surroundings around their homes on the negative to create the haunting and dreamy images. 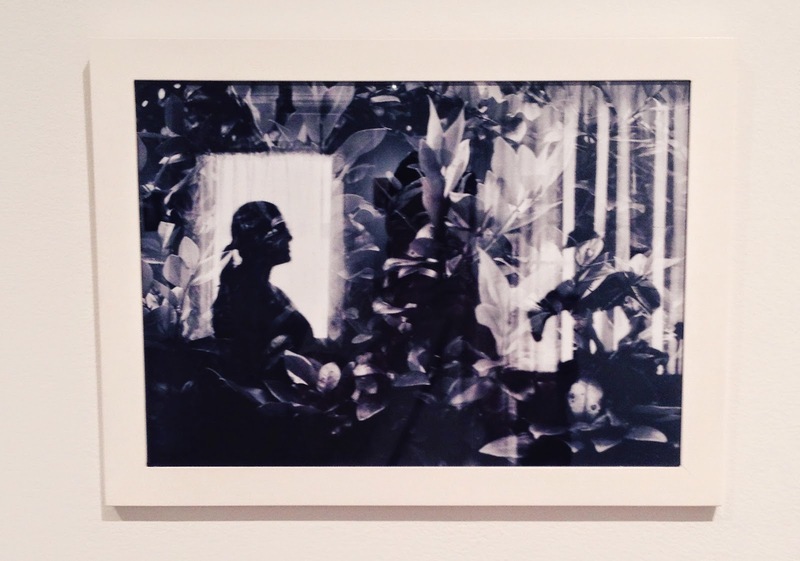 Jenelle Esparza, Where Love Invents Worlds (2014), archival pigment print. Jenelle Esparza, Through the Depths of a Desert (2014), archival pigment print. The photographs do not represent a specific person or their likeness, yet they evoke a feeling of comfort and familiarity. They remind us of our own ancestors and how our memories of them are often linked to not only what they looked like, but how their belongings and their spaces made us feel. Perhaps we also relate to the images ourselves because of how we identify with the things that surround us and connect to this world. View of Janelle Esparza's Ancestral Archetypes exhibition currently on view at the Blue Star Contemporary Art Museum in San Antonio, TX. Photo by Stephanie Torres.